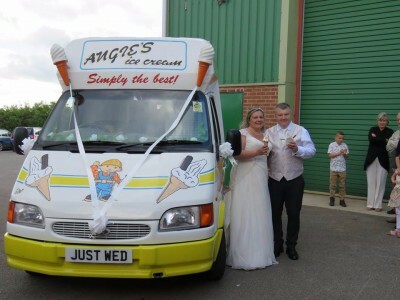 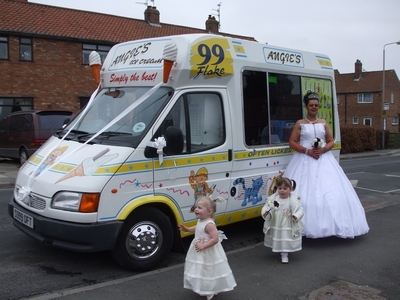 Angies ice cream hire have attended lots of events over the years from small charity events to very large weddings, we have also had the pleasure in apperaing on TV many times with most of our lovely items. 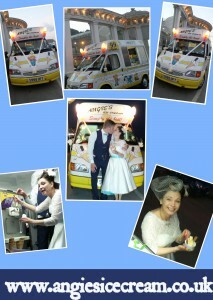 Our business is not just a job it is a passion. 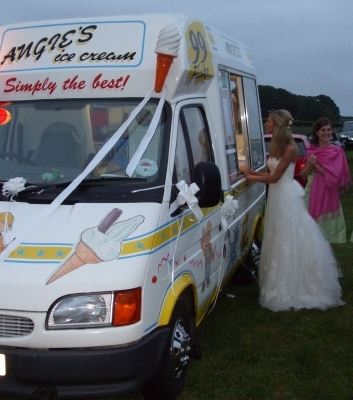 We supply indoor & outdoor items all year round. 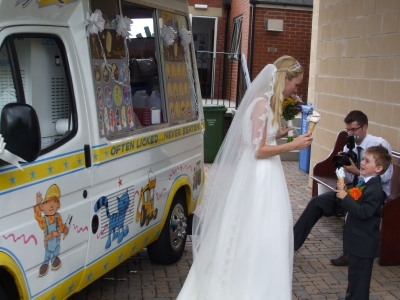 Our van has over 100 chimes to choose from including "Here Comes The Bride" & "Happy Birthday"
Our ice cream van is fitted with only the very best Italian Carpigiani whippy ice cream machine so you can be assured your ice cream has just been freshly made tasting delicious & served pure white every time, including fifteen different delicious toppings to choose from. 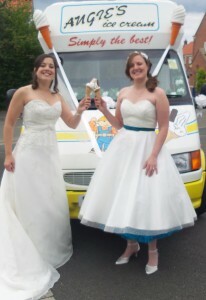 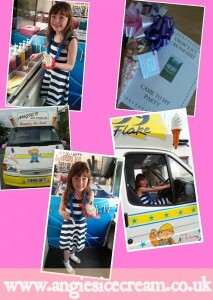 With light up cones on the front of the van to compliment night celebrations you are guaranteed great photos. 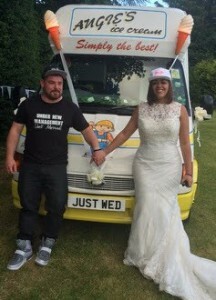 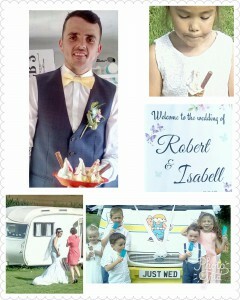 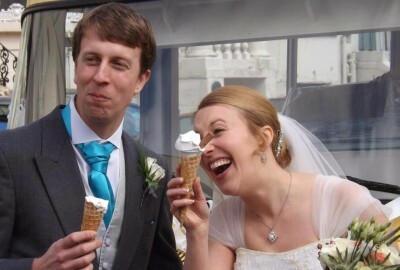 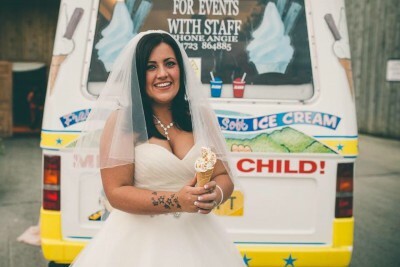 As you can see from the photos above Bob our ice cream van loves attending weddings wearing wedding ribbon & bows to compliment your very special day, We are more than happy to let the Bride & Groom or Birthday Boy/Girl make their very own ice cream giving everyone great photo shoots & lasting memories. 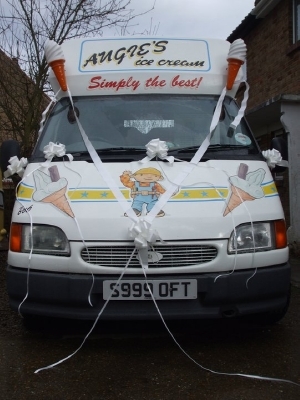 With a smart friendly experienced operator to serve your guests the very best ice cream you can guarantee your family and friends will enjoy the whole experience and cherish the nostalgic memories forever. 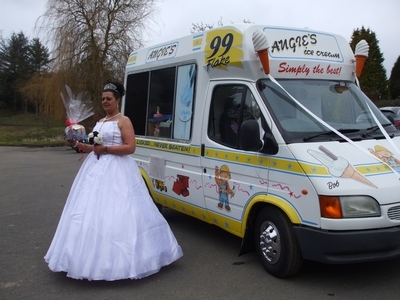 Weddings - Birthdays - Corporate - Festivals - Charities - Promotion - Galas - TV/Film - Funeral Teas - Christenings - Civil Partnership.